As a young adult, you may be interested in a credit card without high minimum spend requirements, and even without an annual fee. Also considering the importance of social perks and promotions, we’ve identified and reviewed best credit cards for young adults on the market below. 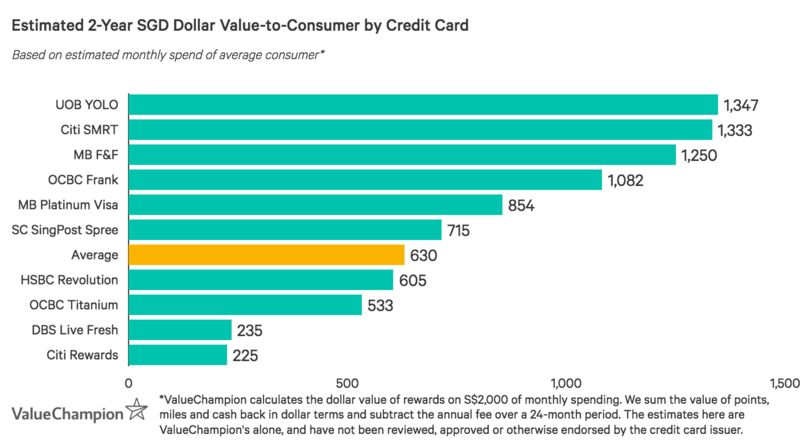 Below, we’ve identified and analysed the market’s best cashback cards for young adults, in terms of rewards rates, affordability and millennial-focused promotions. If you’re a weekend spender seeking promos tailored to young adults, there’s no better option than UOB YOLO Card. Cardholders enjoy some of the highest rebate rates on the market for social spend–up to 8% on weekend dining, entertainment & Grab rides. This includes transactions with fast food vendors & restaurants, lounges, nightclubs, bars, cinemas, and payments made on the Grab mobile application–both GrabPay and GrabFood. While weekend spend earns at the highest rates, cardholders can earn 3% rebates Monday-through-Friday. In addition, spend on online travel & online fashion earn cashback, though this rate frequently varies with card promotions. One of the reasons UOB YOLO Card stands out is for its wide variety of millennial-focused deals & privileges. First of all, cardholders can enjoy boosted rebates with select dining and entertainment vendors through UOB SMART$ Rebate Programme. For example, cardholders can earn up to 10% cashback on spend with Cathay Cineplexes. Additionally, cardholders have access to discounts with online food delivery merchants, 1-for-1 food & drink specials, and deals at trendy restaurants through Visa Foodie Trail. From nightclub privileges to discounts at Lazada, Shopee & more, young adults receive unparalleled perks to suit their needs. In fact, UOB YOLO Card even occasionally hosts big parties featuring popular DJs. It’s worth mentioning that cardholders must spend S$600/month to access UOB YOLO Card’s high rebate cards, and there’s a S$192.6 fee (waived 1-year). However, given the card’s excellent rates in key spend categories for young adults, plus its top-notch perks, UOB YOLO Card is the best option on the market for weekend spenders with social lifestyles. OCBC Frank Card is the best no-fee rebate card for young adults, by no stretch of the imagination. Cardholders begin earning after just S$400 offline spend–one of the lowest minimum requirements on the market (S$200 lower than the closest competitor, even). Even more, the card offers impressive rates of 6% cashback for online spend and 5% on weekend entertainment & select cafes (3% on weekdays). This includes everything from online retail & travel bookings to spend at bars, cinemas, and even merchants like Starbucks. Even the first 2 NETS FlashPay Auto Top-Ups earn 3% rebate–another great perk. OCBC Frank also stands out for it’s trendy card designs. Over 120 designs–included limited editions–are available to consumers, which offers young adults a fun and creative way to express themselves. While OCBC Frank Card doesn’t have many other promotions tailored to millennials, it does offer a fee-waiver, unlike its closest competitor. Cardholders are exempt from the already low S$80.0 fee with just S$10,000 annual spend (about S$833/month). Ultimately, if you’re interested in rebates for social & online spend but don’t want to deal with fees or high minimum requirements, OCBC Frank is the card for you. Citi SMRT Card is one of the only rebate cards on the market with no minimum spend requirement–and is certainly the best. Young professionals on a budget can take advantage of great rates on everyday essentials–as well as leisure–with up to 7% rebate on groceries, 5% on fast food, coffee & cinemas, 3% for online shopping, and 2% on health & wellness. While most categories are merchant limited, these merchants are quite popular–Sheng Siong, Starbucks, Cathay Cineplexes & many more. Citi SMRT Card is also EZ-Link compatible and offers 2% rebate on Auto Top-Ups. Most cards exclude such transactions from earning rewards. In addition, while there’s a S$192.6 fee, it’s waived for 2-years so young adults don’t need to worry about card costs for quite a while. Overall, if you’re a young professional looking to earn everyday rebates without worrying about minimum spend requirements, Citi SMRT Card is definitely worth considering. Young adults who prefer earning miles for social and online spend should definitely consider HSBC Revolution Card. Cardholders earn 2 miles per S$1 on local dining & entertainment, as well as for online shopping. Beyond offering miles instead of cashback, HSBC Revolution Card also stands out in a few ways. There’s no minimum spend requirement, so young adults can begin earning immediately. In addition, the same rates apply to both weekends and weekdays, so you’re equally rewarded, no matter when you spend. HSBC Revolution Card even comes with a fee-waiver, unlike some alternative cards. After just S$12,500 annual spend (about S$1,042/month), cardholders are exempt from the S$160.5 fee–which is already waived the first 2 years. Overall, if you’re a young adult who prefers earning miles to cashback, there’s no better option than HSBC Revolution Card. Chances are, you may prefer to focus on personal spending rather than worry about paying an annual fee. The following are some of the best cards on the market that offer easy fee-waivers. If you’re having a hard time meeting minimum spend requirements or paying high annual card fees, you may be interested in Maybank Platinum Visa Card. Cardholders with as little as S$300 monthly spend can earn 3.33% flat cashback, up to S$30/quarter–at this spend level, most rebate cards offer base cashback rates of just 0.3%. In addition, the S$20.0 quarterly service fee is waived 3 years, and then simply with card use. It’s worth mentioning that cardholders spending S$1,000/month earn S$100/quarter, which is less competitive. In addition, the card is rather simple and comes with only a few perks, like movie discounts and free travel insurance. Overall, however, Maybank Platinum Visa Card is by far the most affordable and accessible option if you want to maximise cashback for lower spend. Do you spend time in both Singapore & Malaysia, perhaps for leisure or maybe to visit family? If you want a no-fee card that maximises cashback for spend in both countries, you may be interested in Maybank Family & Friends Card. After just S$500 spend, cardholders can earn up to 5% rebate in both countries with select vendors in fast food, groceries, transport, wellness & leisure. Spending S$1,000/month earns up to 8% rebates. While vendors are limited, they are quite popular–Cold Storage, McDonald’s, Unity NTUC Healthcare, to name just a few. Maybank Family & Friends Card also stands out for its fee waiver. Cardholders are exempt from the S$180.0 fee after just S$12,000 annual spend (S$1,000/month). Overall, Maybank F&F Card is an excellent choice if you want rewards after a relatively low minimum spend and frequent both Singapore & Malaysia. If you’re a frequent shopper and want rewards for spending on retail, the following cards offer great ways to maximise miles or rebates. If you mostly shop online, or for fashion, you may be interested in Citi Rewards Card. Cardholders earn 4 miles per S$1 spend on online transactions, as well as on clothing, shoes, bags & more (including at department stores). Transactions are eligible for rewards whether they’re made locally or overseas. This makes Citi Rewards Card an especially easy to use card for young adults interested in keeping up with fashion trends and who prefer to spend online. There’s a S$192.6 fee, but it’s waived 1 year. OCBC Titanium Rewards Card is the best miles-earning card on the market for retail shoppers, including young adults. Cardholders enjoy 4 miles per S$1 spend on fashion retail, electronics, at department stores and with select retail merchants (Amazon, Alibaba, Lazada, Qoo10, Shopee & many more). This means you can earn on everything from food products to beauty supplies. In addition, all kinds of transactions are rewarded (online, offline, local & overseas). OCBC Titanium Rewards Card is an especially great option for young adults because there is no minimum spend requirement, and there’s an easy fee-waiver. Cardholders are exempt from the S$192.6 fee (already waived 2 years) with just S$10,000 annual spend. This means young adults can immediately been earning for all types of shopping spend, without worrying about extra fees. Overall, OCBC Titanium Card is the best retail card for young shoppers. If you have a shopping budget of S$300–S$500/month and like to shop online overseas, you can maximise cashback with Standard Chartered SingPost Spree Card. Without having to worry about a minimum spend requirement, cardholders earn 3% cashback on foreign online & vPost transactions, 2% on local online, & contactless transactions, and 1% on general spend. Cardholders also receive discounts on shipping and packaging of up to 20%. These rates are higher than what cardholders can earn with alternatives, which offer base rates of about 0.3% for very low spend levels. However, people who can consistently meet typical minimum spend requirements (S$600+/month) can earn more with other cards. All things considered, SC SingPost Spree Card is best for people with smaller shopping budgets who spend with overseas merchants on Amazon, or similar sites. DBS Live Fresh Card is a great option for tech-friendly young adults who prioritise convenience. Cardholders earn 5% cashback online and for all contactless spend, including mobile pay. This is a great pairing because it allows consumers to earn on nearly all spend–as long as they’re comfortable using a mobile wallet. DBS Live Fresh Card is even EZ-Link compatible, which is great for overall convenience. It’s worth mentioning, however, that cardholders can only access these rates after S$600 minimum spend, and there’s a S$128.4 fee (waived 1 year). Overall, young adults looking for a straightforward cashback card to consolidate spend and streamline their wallet may be interested in DBS Live Fresh Card. If you’re just starting out in your career and earn between S$18,000–S$29,000/year, CIMB AWSM Card is one of the best cashback cards on the market to consider. Most credit cards require a minimum income of S$30,000; this requirement can sometimes be waived with a S$10,000+ fixed deposit as collateral. If this isn’t feasible, however, you’re still in good hands with CIMB AWSM Card–applicants under 35 years old are eligible for approval, as long as they earn at least S$18,000/year. Cardholders earn an unlimited 1% rebate on all dining, entertainment, online shopping & telco spend. There’s no minimum spend requirement, and no annual fee. In effect, there’s no better card on the market for low-income working adults–which is why we recommend CIMB AWSM Card to young adults who are just starting out as new employees. Standard Chartered Manhattan S$500 Card is one of the few options on the market available to low-income working adults. Consumers earning between S$18,000–S$29,000/year are eligible; most cards require S$30,000 as a minimum income requirement. With SC Manhattan S$500 Card, however, low-earners receive 0.25% flat rebate on all spend. There are no minimum spend requirements, no earning caps, and no merchants or categories to track. While the rewards rate is low, SC Manhattan S$500 Card is one of the easiest cards to use. While there’s a S$32.1 annual fee, it’s rather low and is waived the 1st year. Overall, if you’re a young working adult with a low salary, you may be interested in considering SC Manhattan S$500 Card. Below, we've prepared a summary of our picks for the best credit cards for young adults in 2019.